This is Cuba is a true story that begins in the summer of 2009 when a young American photo-journalist is offered the chance of a lifetime―a two-year assignment in Havana. For David Ariosto, the island is an intriguing new world, unmoored from the one he left behind. 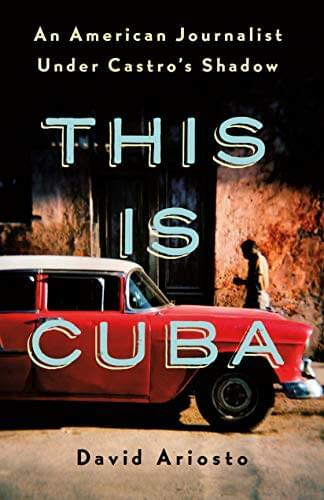 From neighboring military coups, suspected honey traps, salty spooks, and desperate migrants to dissidents, doctors, and Havana’s empty shelves, Ariosto uncovers the island’s subtle absurdities, its Cold War mystique, and the hopes of a people in the throes of transition. Beyond the classic cars, salsa, and cigars lies a country in which black markets are ubiquitous, free speech is restricted, privacy is curtailed, sanctions wreak havoc, and an almost Kafka-esque goo of Soviet-style bureaucracy still slows the gears of an economy desperate to move forward. But life in Cuba is indeed changing, as satellite dishes and internet hotspots dot the landscape and more Americans want in. Still, it’s not so simple. The old sentries on both sides of the Florida Straits remain at their posts, fists clenched and guarding against the specter of a Cold War that never quite ended, despite the death of Fidel and the hand-over of the presidency to a man whose last name isn’t Castro. 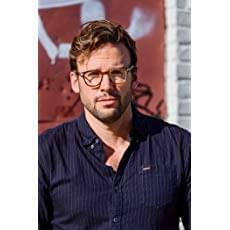 DAVID ARIOSTO is an international journalist who has worked for CNN, NPR, Al Jazeera America, Reuters and National Geographic. He is currently the Executive Producer of GZERO media at the Eurasia Group. Between 2009 and 2010, Ariosto was based in Havana, Cuba working as a cameraman and correspondent, and continues to make reporting trips to the island several times each year.